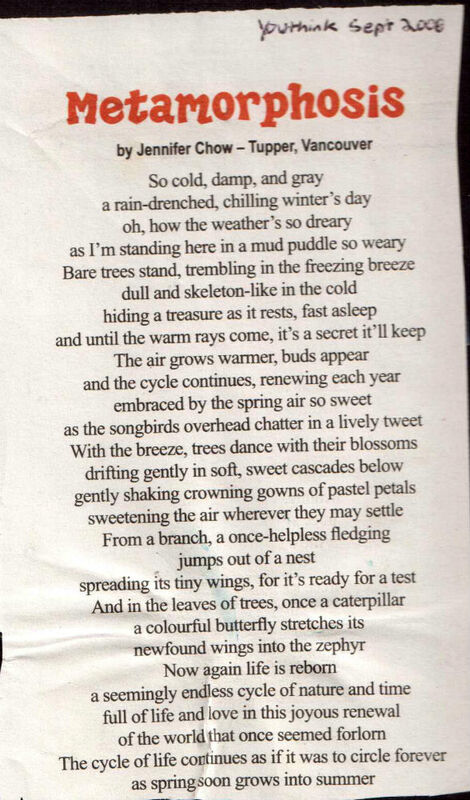 Metamorphosis poem as it appeared in Youthink in 2006. This was published in Youthink Magazine, September 2006 (v.9, n.1, p16) in the “Creative” section with the formatting basically thrown out the window. Originally written and submitted for Writing 12 that I took in grade 11.